Installing Fatdog64 on a flash drive for UEFI and BIOS booting. Note 1: If you only want to boot on computers with BIOS then use the Fatdog64 installer found in the Control Panel. Note 2: The method given below will create a read-only filesystems for the boot files. You cannot modify boot configuration (isolinux.cfg or grub.cfg). It will also completely erase your flash drive. If you don't like this limitation or prefer a more flexible solution for UEFI-only booting, please refer to this alternative installation method. 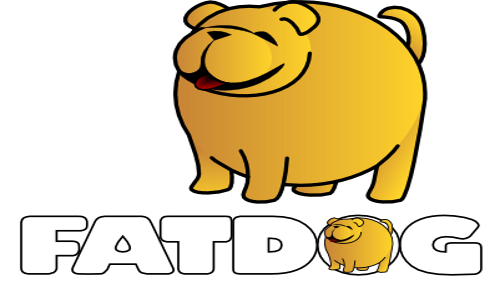 The Fatdog64 ISO file is a dual-hybrid ISO file. To install it to a USB flash drive, all you have to do is dd the file on to it. Keep in mind that all files on the flash drive will be destroyed. The flash drive will have two partition tables on it, and Gparted cannot handle adding or modifying partitions correctly. 1) Plug in the flash drive you want to use. When it appears on the desktop note it's device name. For example "sdb". Replace <Name of iso file> with the real name of the iso file and replace <Flash drive device name> with your flash drive's device name from step 1. The 'if' stands for input file, the 'of' stands for output file, and 'bs' stands for block size. The './' means to look in the current directory. Make sure that you have the correct device name for you flash drive. If you use the wrong one you could erase you hard drive! Some flash drives my show sdb and sdb1 icons on your desktop, maybe more partitions. For your device name, use the device name without a number. Then follow the instructions fix-usb.sh gives you. Note: The fix-usb.sh script is also in the root of the iso in case you're using another Linux distribution. 4) f you have any doubt about what you're doing stop now before you start anything! An USB flashdrive on which the Fatdog.iso has been written following the steps above, cannot be re-partitioned with Gparted anymore because Fatdog's hybrid partitions (combining ISO partition, GPT and MBR partitions) confuse Gparted, regardless of whether it is treated with fix-usb.sh or not. It will boot, it will work, and it will work very well with Linux on BIOS and UEFI system, but yo cannot re-partition it again with Gparted because it thinks that the flashdrive has invalid partitions. a) Doing so will delete all data on the flash drive, so please back up your data first. And to do this, just do "dd if=/dev/zero of=/dev/<flash-drive-device-name> bs=1M count=1". After doing this Gparted will regard you flash drive as completely empty and will offer to create a new MS-DOS partition table - which you should accept.